We are having so much fun with our Fun With Letters series. Have you joined yet? 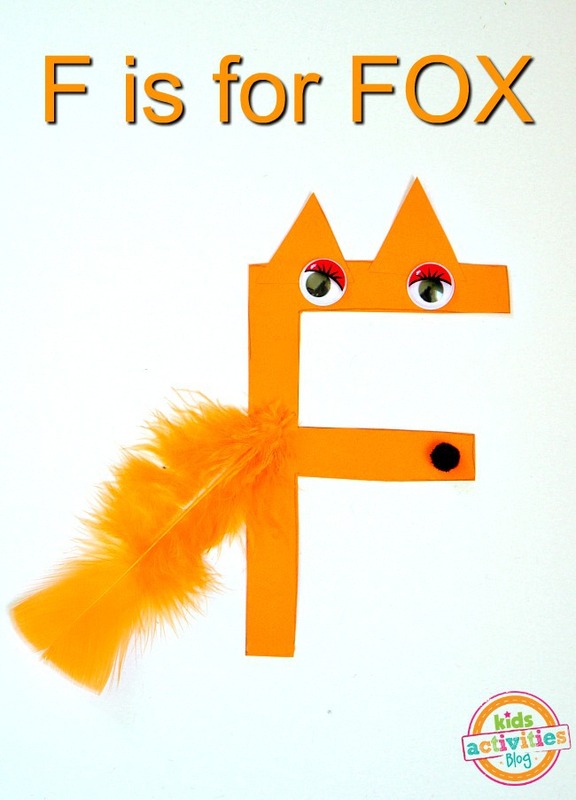 For the letter F we are making a fox. A very cute fox. 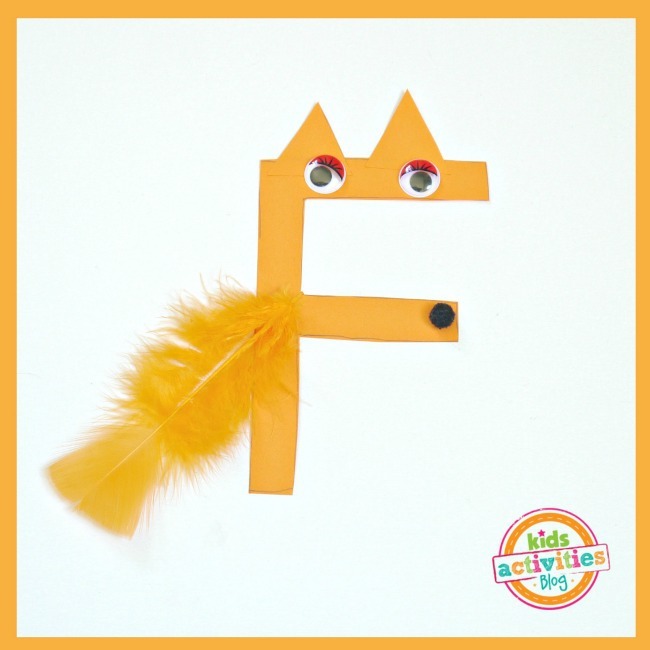 This letter F craft is super simple to set it up. You only need few supplies that you already have at home. The best part about this craft is, of course, a moving puffy fox’s tale. Orange construction paper (use the extra pieces left from the letter cut out). 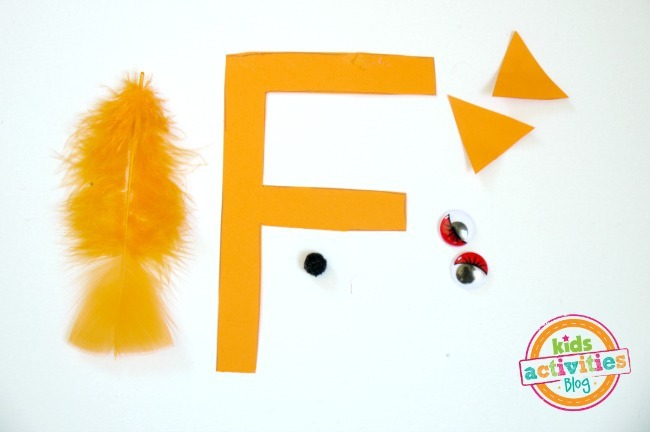 Cut out letter F. Preferably orange color and glue it on white construction paper. Cut out two triangles. They will serve as fox’s ears. Glue them on top of the letter. Glue googly eyes on. We chose the ones that had the eye lashes already attached. Glue on a small black pom pom for the fox’s nose. Glue on orange feather as fox’s tale. Make sure to glue just the top part, leave the bottom unglued. Kids will love playing with the tale that is moving up and down. That’s it! Your letter F craft is done! Watch a short video of how our F is for Fox craft was done. It turned out so adorable! 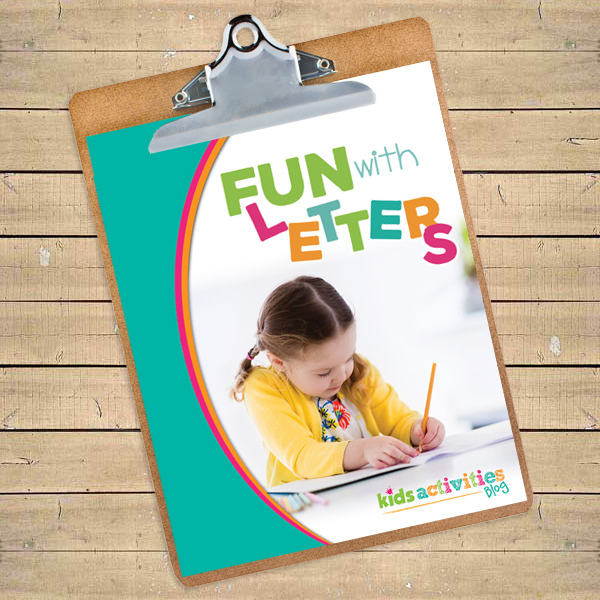 Continue your Letter F learning by signing up for our email series Fun With Letters. This preschool alphabet resource is full of activities, worksheets and coloring pages.